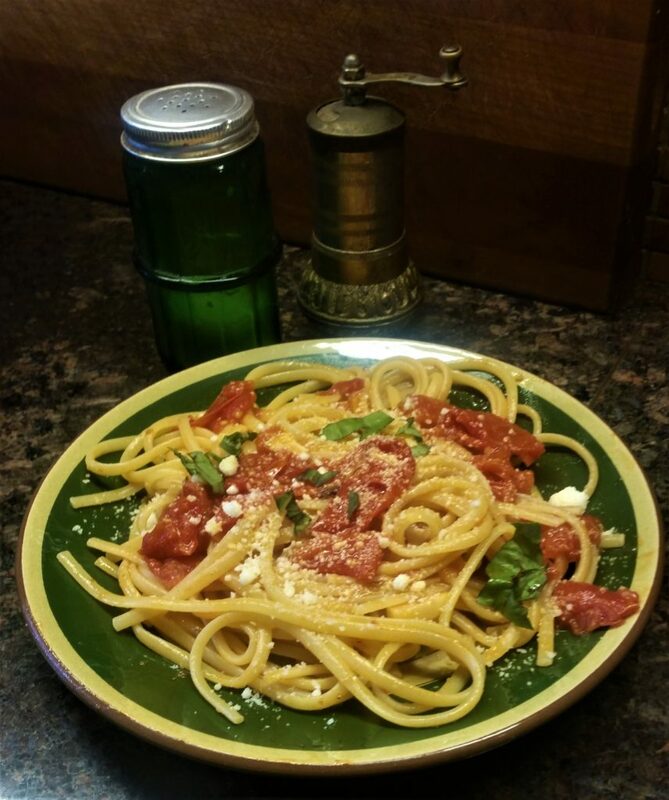 This is the simplest pasta sauce I can think of. 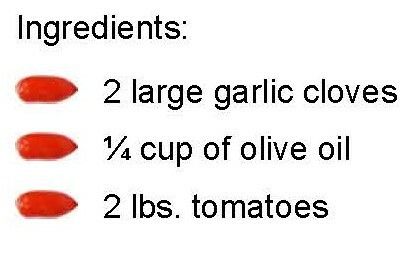 Just 3 basic ingredients – tomatoes, garlic and olive oil. 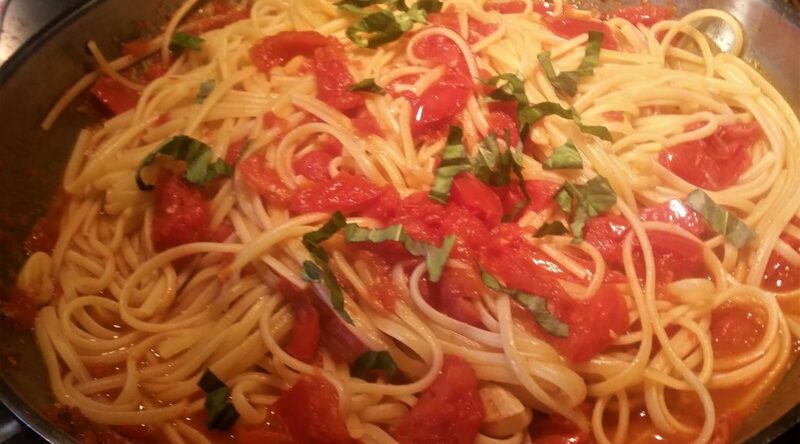 You can use any kind of ripe fresh tomatoes or a 28 oz. can of San Marzanno tomatoes would work too. 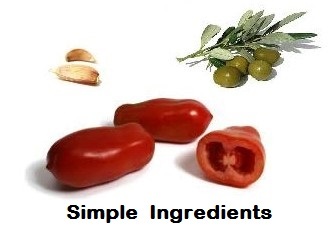 These 3 ingredients plus pasta, water, salt and pepper make a meal. You can build on it with other ingredients. 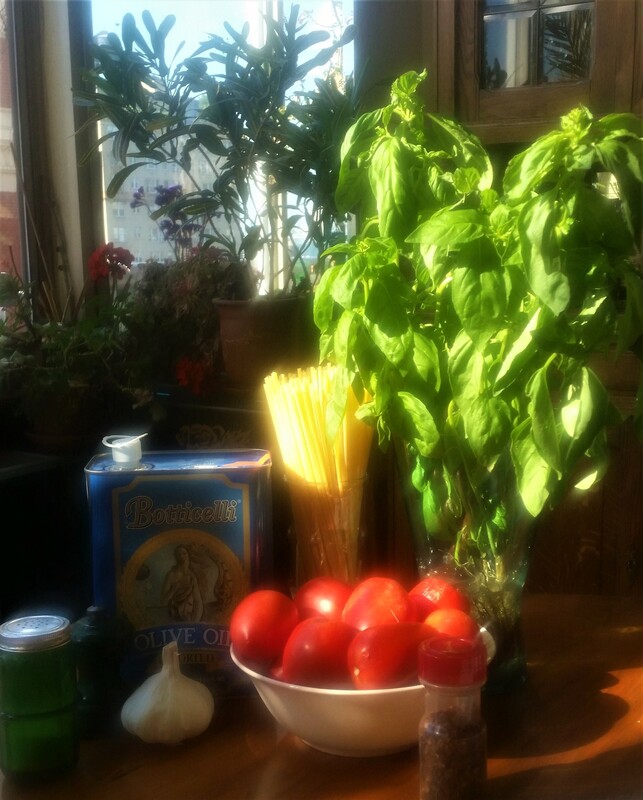 You can simply add some grated parmigiana, torn basil leaves and a few drops of olive oil when serving. Maybe brown some sausage or saute a few shrimp in the pan before you add the tomatoes then simmer them in the sauce. There are lots of possibilities. Put on a pot of water for the pasta. Add the tomatoes. They can be just roughly chopped alla rustica, or cored, skinned and de-seeded, depending on how much time you have. Let them simmer while the pasta water comes to a boil. As they soften you can break them up with the back of a wooden spoon. When the pound of pasta is almost done, drain it and add it to the sauce to finish cooking. 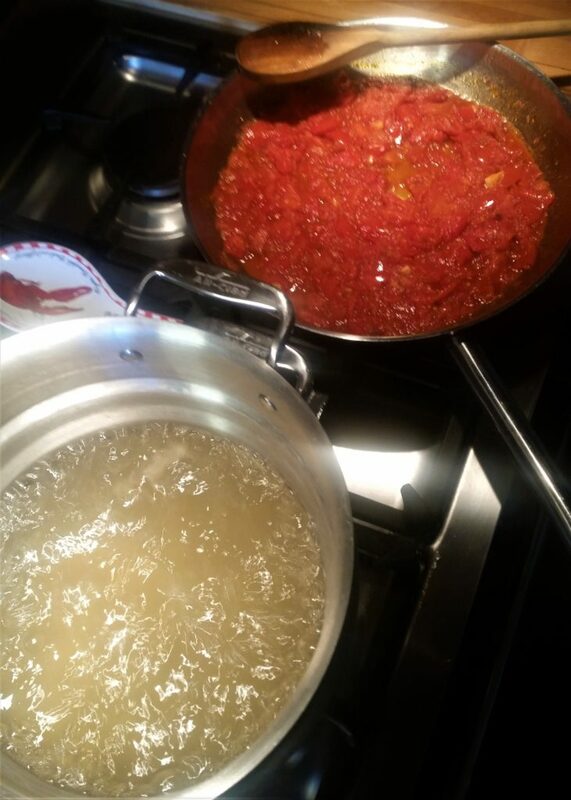 Instead of absorbing water the pasta can absorb some of the sauce. Add a bit of the pasta water to loosen the sauce.